/ Pocket Power Plus: A Truly Reliable Portable Power Source? Jump start practically any vehicle. I like to get out. Take the Jeep as far out as I can, set up camp and just listen to the sounds of nature. You know, birds, rivers, trees, and all that. That doesn't mean I don't appreciate my modern amenities like my iphone though. I like checking in with the house to see how my family is doing, and I want them to be able to get in touch with me if they need me. I enjoy streaming a movie or favorite show. I even like checking in with business to make sure it hasn't fallen apart without me. That means no matter where I go, I want to be able to use my phone, my tablet or my other portables. A bud has always nagged me about keeping two power sources. I ended up driving 75 miles back. Found out my charger was dead. Water damage or something. That ended up being a stroke of luck because I bought a Pocket Po﻿wer Plu﻿s, so I'd never be caught in that situation again! The pocket Power Plus is an amazingly helpful tool that comes in two sizes, one that looks like a briefcase, and the other that could literally fit in your pocket. It's been tested on everything from iphones to car batteries with success every time. If you need a truly portable power source for emergencies, or just convenience, we highly recommend this product! If you're on the prowl for a reliable and portable power source, you've seen the options. Unfortunately, these products rarely provide the information you need to determine which is right for you. They list features, but not what makes any specific aspect of the product perfect for your needs. Here are some straightforward tips to consider before buying a portable power pack. The portable power source's capacity to power everything you need is the most important aspect. A tablet will need more power than a cell phone. Your television is going to pull more energy than your radio. You may want something that can manage multiple devices simultaneously, which will require a higher capacity. Look at the capacity of the batteries in your devices. My iPhone 6S has a 1,715 mAh battery. The portable charger I use at the time exceeded that number significantly. That meant I could charge my phone and still power a few other items. But if I had my brother's iPad, I'd need something that could manage a 12,000 mAh battery. If you're replacing a power pack, make sure the new one is compatible with the old one's ability. Compare the specs of the two devices. If you are not sure how to go about doing this, talk with a tech. Otherwise, you may end up with a product that takes too long to charge - draining power - or the possibility of not getting any charge. You want enough ports to charge multiple devices at the same time. Make sure ports are compatible with what you need them to do. If you prefer to travel light, size and weight are a big consideration. That's one thing I love about the Pocket Power Plus. It weighs less than a pound and can fit in a pocket. The Pocket Power Plus is one of the most compact and reliable resources I've come across. Take it with you when you camp, fish, hunt, hike, when boating, picnicking or heading out to the beach. 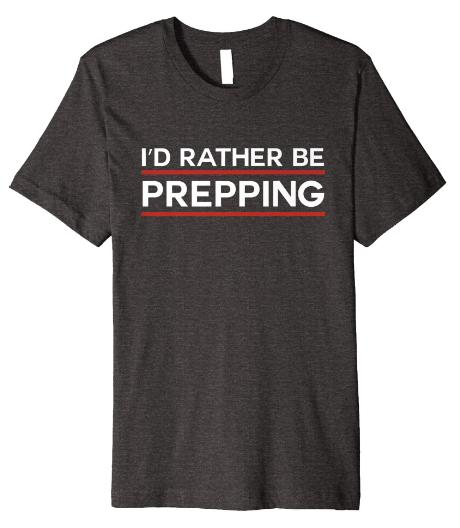 I think anyone that travels will find it practical. It won't just charge all your devices, use it to start your car, SUV, truck or motorcycle. This amazing unit fits in the palm of your hand and can charge a bus.Use a wall charger or charge the Power Pocket Plus in the car. In about five hours, you will have a smart device that won't just charge your phone, it will not over-charge, ensuring you don't waste energy. .Can easily fit in a glove compartment, travel bag or pocket. In an emergency, it can become a flashing strobe light. The manufacturer does not list specs online, making it difficult to compare it to other devices. The Pocket Power Plus is the perfect device to have in your toolkit if you like camping, hunting, fishing, picnicking, hiking, motorcycling, boating, spending a day at the beach, or (my favorite) remote locales. It will also be a great tool for anyone that travels by ground or air. 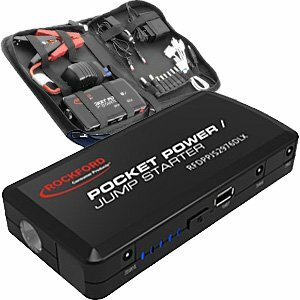 The Pocket Power Plus comes with cables and independent testing shows it can start a car, truck, motorcycle and even a bus. And you're not limited to one time usage. A single charge of the Pocket Power Plus was able to jump start a car almost two dozen times. The Pocket Power Plus is fully charged after being plugged into a standard wall outlet for less than six hours. You can also charge the device in your car or any other component that can take the included 12 volt DC adapter. The Pocket Power Plus has a series of lights that indicate how much charge is left. Tests have shown that, depending on conditions and types of devices, a single Pocket Power Plus charge has lasted between three and six months. The Pocket Power Plus can manage 16 different types of adapters, covering pretty much all your electronic devices. It will be a challenge to find a popular and modern electronic device that the Pocket Power Plus won't be compatible with. It also has a charging port for USBs, giving you even greater compatibility for charging and using devices. Tests have shown you can not only run your electronic devices, you can run them for extensive periods of time on a single charge. The Pocket Power Plus has kept an iPad going for up to 18 hours, a Kindle for 32 hours, iPods for almost 150 hours and an iPhone for close to 64 hours. In the process of this Pocket Power Plus review, I found I was able to run my laptop for almost double it's average six hour run time. The device has a polymer lithium-ion battery. This is a product that's proven to have a greater energy density than comparable devices. This tech is being applied to battery-powered electric vehicles. What also makes the battery unique is that it can be shaped to pretty much any size or design. This is why the manufacturer can fit such a powerful device into a small, portable package like the Pocket Power Plus. Further, the battery is fuse-protected. Despite its size and weight, the Pocket Power Plus is extraordinarily durable. All its connections are reverse-polarity protected. Its automatic charge control feature ensures you never overcharge or over-discharge a device. This prevents the unnecessary drain of power. With the Pocket Power Plus on hand, you will have an additional and invaluable tool in your emergency toolkit. The device has a built-in flashlight, an emergency strobe light and a SOS distress call mode. These features will certainly come in handy should you find yourself stuck on the side of the road or stranded on a boat.If you choose, the Pocket Power Plus is solar panel capable. You will be able to charge the portable power pack anywhere in the world without needing a power outlet. This is what made buying one an easy decision for me. I could imagine myself being out in the middle of nowhere and simply using the seamless solar ready technology to power up my power pack, waiting only a few hours - while I did some swimming, fishing, hiking or running - before I could use my portable power charger again. The Pocket Power Plus is truly powerful, truly portable and truly portable. I find it amazing how easily it is stored and removed with no fuss or muss. I can remember my very first charger which required two hands and some hefty lifting to get into the back of my van. It took over 24 hours to charge and let me watch maybe a single game on my TV before I was going to need a new charge. The times they have a-changed! Now, I easily toss this power charger in my Jeep or my shirt pocket. You'll be able to throw it in your luggage, purse, backpack or travel bag and you're off. If you travel overseas a lot, you have probably dealt with the frustration of charging devices because of the difference in voltage conversion. You have to buy different adapters. Still, in some parts of the world, like Costa Rica, power can come and go unexpectedly even when you've had the forethought to purchase all the right tools. You will not have this issue with a Pocket Power Plus. Its usage isn't limited by the resources of any given region. Whether you're in in the Florida Keys or continental Europe, take out your reliable power pack, plug in your Android and handle your business! Remember, the Pocket Power Plus can run for months on a single charge. Depending on how often you use it and for what, you may never have to worry about its charge, even if you travel for weeks at a time. With a Pocket Power Plus on hand, you will never have to worry about power outages caused by emergencies. For this Pocket Power Plus review, I did my due diligence, that includes checking out what others were saying after they'd started using this portable power resource. I am happy to report that reaction is pretty much overwhelmingly positive. Like me, people have found this device to be a multi-layered, affordable, flexible and reliable option for their needs, far surpassing any previous experiences with portable power packs. If you're still on the edge about whether or not this is the right device for your needs, I think it's a great idea for you to see what others are saying about the Pocket Power Plus. I did buy my Pocket Power Plus under extenuating circumstances. It was the best option in a situation when I had to make an immediate decision. But being who I am, I still had to do my research. I needed to make sure that, given a choice, I still would go in the same direction. So, after that particular trip, I went back to the drawing board and gave a good number of portable power packs a look. I ended up boiling it down to a few other chargers I might have ended up with. Remember, I'm an outdoorsman. That by itself affected how I looked at any of these packs. If you're only charging iPhones or laptops, you may not need anything as extensive as I do. Still, here's a list I ended up with. What makes this option attractive is that the iLand FLY is solar ready, meaning it converts solar energy into electricity for transfer to a 2,100 mAh battery. Encased in a thin, dust and water resistant outer layer, the solar paneling is designed to not be affected by varying temperatures. The transparent exterior is composed of panels exposed to your light source. What Changed My Mind: Though super-light and impressively durable, the iLAND charged significantly slower than the Pocket Power Pack, up to 11 hours compared to the Pocket Power Pack's five. This puppy is powered by a small hydrogen component. Once inserted, wait for a green light. Plug in your device and you're ready to go. Reviewers loved that it worked under any condition, as long as oxygen flowed freely around the unit. What Changed My Mind: This was a pricey option and, unlike the Pocket Power Pack, there were no indicators to let me know how much charge remained. The device could die on me without warning. Also, there's no on-board battery for power storage. For the sake of practicality, I always look at as many options as I can. The Eton Turbine 2000 might seem an odd choice, but it certainly deserved its shot. With a 2,000 mAh battery, you twist a crank to produce electricity. One reviewer said this is one dependable power source because it's fallibility is totally on the user. What Changed My Mind: Well, I think I'm in pretty good shape, but I have no desire to spend two to three hours cranking to get a full charge. I prefer to spend my time in the midst of things, not sitting on a rock! Any one of these options might still be the one for you though. For instance, if you have kids, the Turbine 2000 could be perfect. Let them crank. But I'm going to stick with the Pocket Power Plus. It's light, compact and does a lot more than I could want from a portable power source. For the investment, what I paid makes it one of the best purchases I've made for my outdoor adventures in a long time. I may like to get away from it all, but that doesn't mean I don't occasionally want to see my emails, see what's going on back home or stream a movie or television show. It's why I need a reliable portable power source. The Pocket Power Plus has proven to be exactly what I need. Lightweight and durable, powerful and compact, something that can last for extended periods of time and I don't have to worry about dying on me when I need it most. Whether you're going on a long vacation or taking the family up into the woods for a few days, there aren't too many people that want to be without their personal devices. I know device mobility has become an important part of our day-to-day activities. Even if you enjoy sitting around a campfire, you still want to know you can watch the game or make an emergency phone call. I promise the Pocket Power Plus is the perfect resource for your travels, whether you do a lot of driving into the outdoors or spend a lot of time flying business class. Since that fateful 75 mile drive back to civilization and discovering the Pocket Power Plus, I decided to finally take my friend's advice and keep at least two power pack resources with me on all my trips. I bought a second Pocket Power Plus! And I would encourage anyone that needs a power pack to do their research first, but I'm pretty confident you're going to find the Pocket Power Plus stands out from the pack.